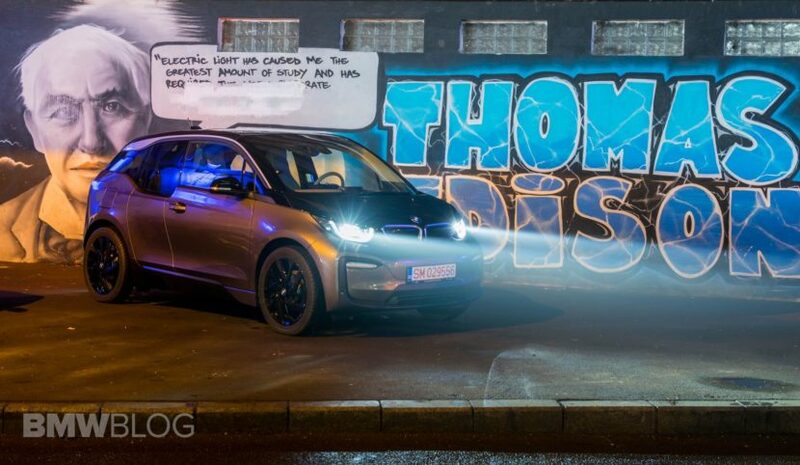 TEST DRIVE: 2019 BMW i3 120 Ah – "Getting There"
Late last year, deliveries of the third version of the BMW i3 have kicked off, after the Germans announced the introduction of a new battery for their only pure-electric vehicle, one that would apparently pack even more energy. 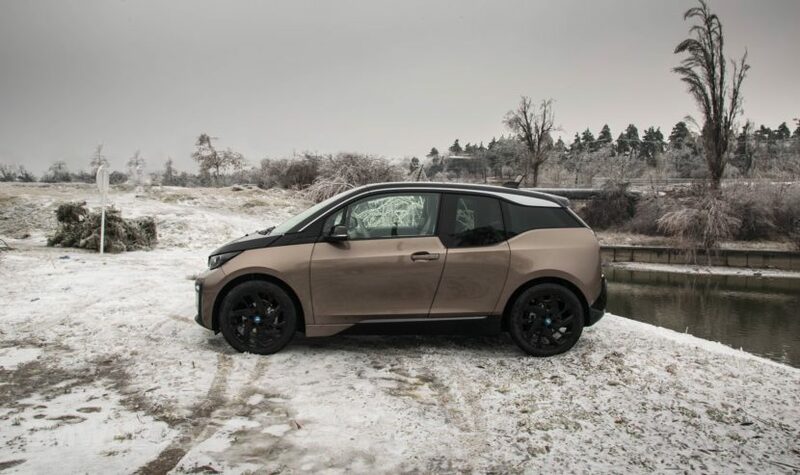 Unlike other manufacturers, BMW decided to approach the electric vehicle offensive a bit different, focusing on refining a recipe rather than starting things over every time progress was made in a certain field. That’s how we ended up with the BMW i3 120Ah, as the Bavarians call it, referring to the enhanced energy density of the cells stored in the floor of the car. The i3 is a rather peculiar car in the BMW range and not just because the exterior design might not be everyone’s cup of tea. It’s a peculiar car because even though it was launched in 2013 as a completed, working product, it feels like it’s still being perfected as time goes by. 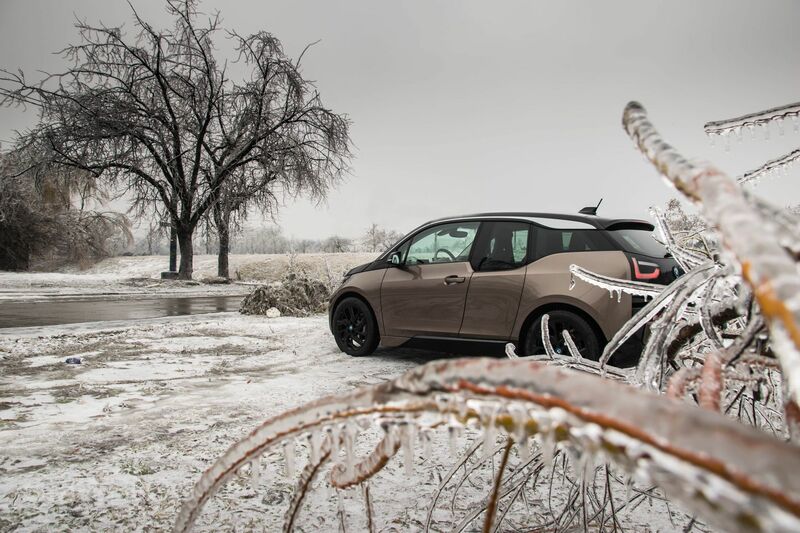 Over the course of five years, the i3 received three major updates, all of them further refining a car that set out to do emission-free cruising a “normal thing”, with a holistic approach. Thus, notice I didn’t mention “tailpipe emissions” so far because when BMW set out to build this EV they considered the entire production chain, not just the fact that you personally wouldn’t burn oil while driving around town, which is just a small part of what being eco-friendly means. Instead the Germans looked at the full picture, from the materials used for the car’s construction to the energy needed to put it together. That’s why they use hydro energy for the manufacturing of the carbon fiber body and why they use solar power to assemble all BMW i cars in Leipzig. It’s all aimed at reducing emissions and what we end up with is a car that’s 93 percent recyclable, a bold achievement in many regards. Sure, there’s still a long way to go in this never-ending search for true emission-free cars but as the Italians say, Rome wasn’t built in a day and consistency and a stubbornness to never give up is what car makers need to make things work the right way. 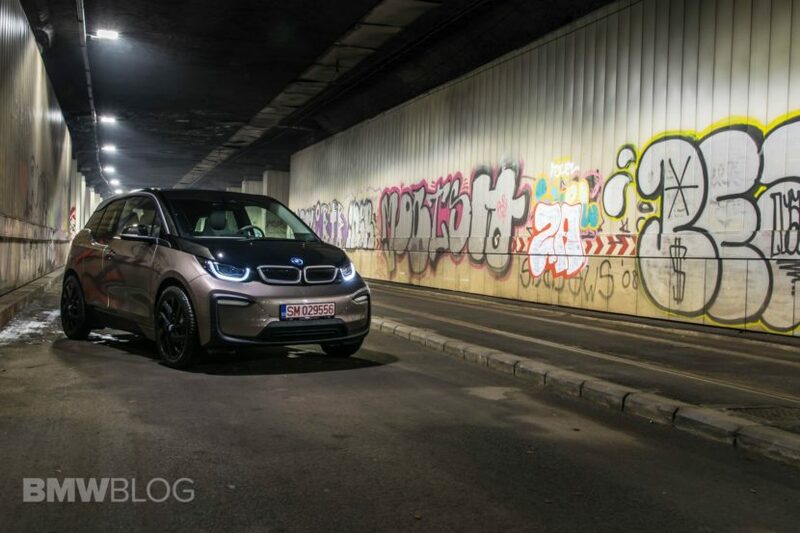 The latest iteration of the i3 is the perfect example in this regard. Looked at from a traditional point of view, the i3 is weird, no matter how you look at it. It was designed to be weird yet be functional, and that’s exactly what it does. The car attracts curious looks on the streets even today, five years after it was launched, as somehow people didn’t get the chance to get used to it by now. Yes, it may fall a bit far from the usual Bavarian design tree, but to some people it looks good. To me, personally, it feels a bit peculiar when looked at from up close as it may be a bit too tall and too short to qualify as a BMW. And yet, you unmistakably can tell that this is a BMW which means the designers did their job right. The car also comes with a couple of quirks that make it stand out in the crowd but not necessarily more practical or enjoyable. I’m referring to the doors most of all. While the rear ones are rear hinged and create a spectacular look when they are open, living with an i3 shows that they mostly get in the way. In order to allow someone to jump in the back, you need to open the front doors first, then open the rear ones and then go about the same process in reverse to be able to close them back, starting with the rear ones. It’s tedious and can get frustrating at times, especially since someone thought it was a good idea to fit the seatbelts in the rear doors, hence forcing the people riding in the front to unhook their seatbelts so that passengers could get in the back. Once inside though you can revel in what feels like one of the best interior designs currently available in a BMW these days. I just love the minimalist look and feel of things, as well as the materials used, most of which are eco-friendly or recycled. The plastics used for the dash and part of the door panels are made of recycled PETs, the wood is Eucalyptus because it’s the fastest regenerating tree and the wool used is obtain from a special breed of sheep, with faster growing wool than most. All of that has been known about the i3 ever since it was originally launched, but for the new model there are a couple of updates. Among them you’ll find a new trim ‘World’, as packages on BMW i models are split into ‘worlds’. The new Mega World option includes a new color and new trims for the interior. You can see the Brown Trim and Mega Carum Spice Grey SensaTec with Brown Cloth highlights in our pictures and I have to admit they look great together. The new gradient color of the seats also makes a good impression. The iDrive system was also updated to the 6.0 version and it now comes with WiFi hotspot and wireless charging for those phones with support for it. The new system moves a lot better than before, it’s fluid and has a better setup, allowing you to find information easier. As for the technology, the headlights can now be fitted with Adaptive LED lights which work great but might not be your best investment, as the i3 was created to be used mostly around town and the LED lights are most useful on the highway, at night. On the outside, you can have a new color, dubbed Jucaro Beige Metallic, a new addition to the ever-increasing list of hues available. It looks good but if it was my money, I would stick to Protonic Blue, as I find it fits the i3 best. But while all these small add-ons would allow you to get more creative with the way you configure your i3 the biggest change comes under the floor. 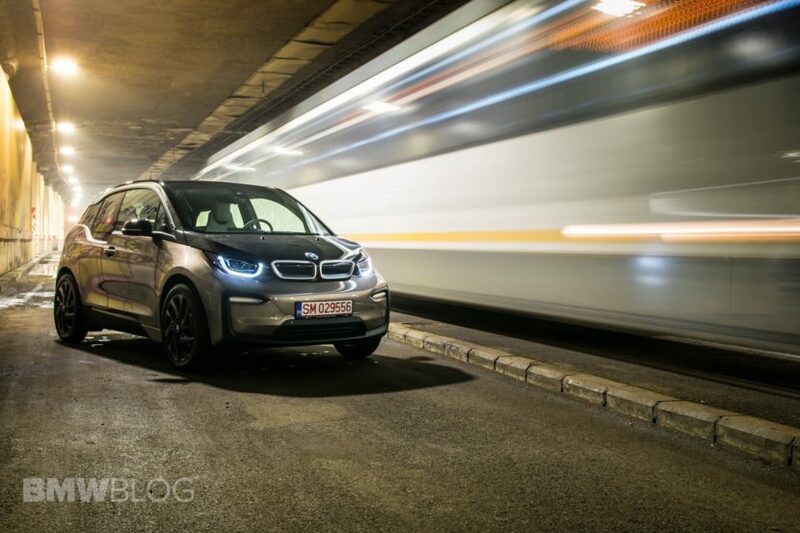 As the name suggests, the new i3 gets a new set of batteries. Unlike the rest of the automotive world, which measures the size of the batteries in terms of wattage, the engineers at BMW i use the energy density as an indicator. Whereas the original i3 came with a 60Ah battery, the new version now has 120Ah, thus seriously upgrading its range, while keeping intact the size of the battery pack. Albeit, as the figures show, the new package is now heavier, as the i3 tips the scale at 1,345 kg, some 65 more than the original version. That also means the sprint of the car is affected, the new i3 claiming a 0-62 mph sprint time of 7.3 seconds, 0.1 seconds slower than the original. The high-voltage battery is produced at the BMW plant in Dingolfing and consists of eight modules, each with twelve storage cells: the latest advancements have resulted in a capacity of 120Ah along with a gross energy content of 42.2 kWh – while the size remains unchanged. 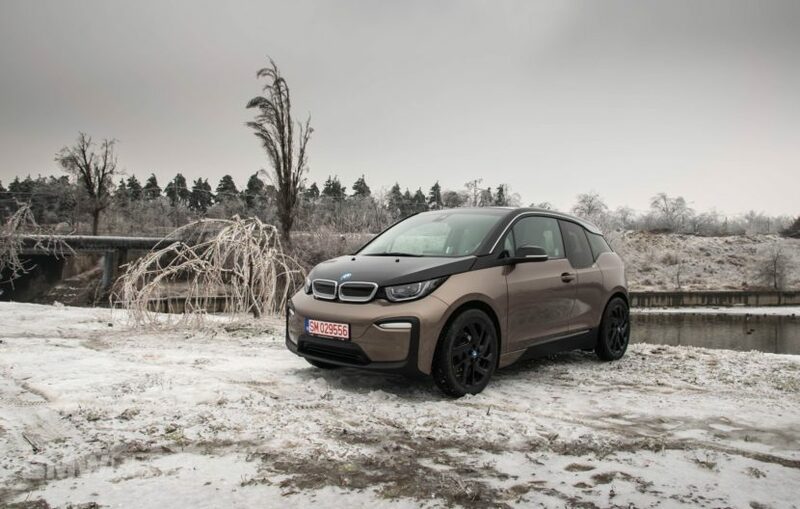 To get a better idea of far this tech has gone, at the market launch of the BMW i3 in 2013, the equivalent figures were 60 Ah and 22.6 kWh, while the second-generation battery introduced in 2016 reached 94 Ah and 33 kWh. You won’t get to use all of the 42 kWh though, as the battery can’t be fully depleted, thanks to some protective software. However, you do get to use about 38 kWh of it, which should allow you to travel up to 260 km (roughly 160 miles), according to BMW. We decided to put that to the test. 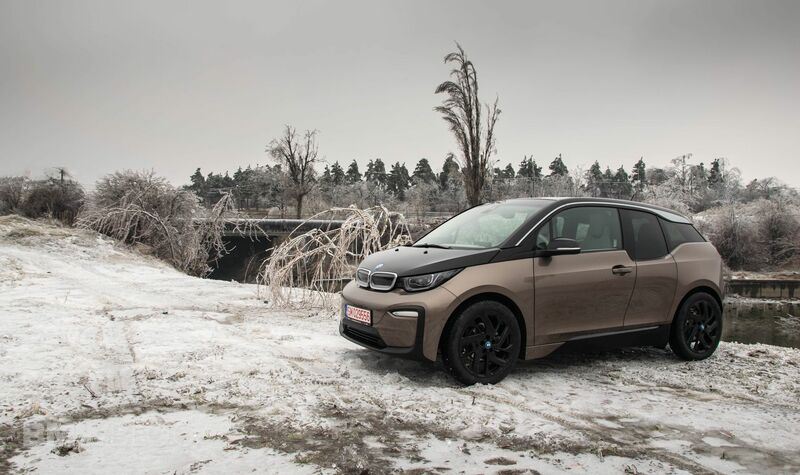 The Germans claim the i3 should use around 13.1 kWh for each 100 kilometers covered, thanks to further developments done not only on the battery but also on the electric motor which should be more efficient now. This is where the efforts made in Formula E show their worth, as that’s currently the testing ground of BMW i. 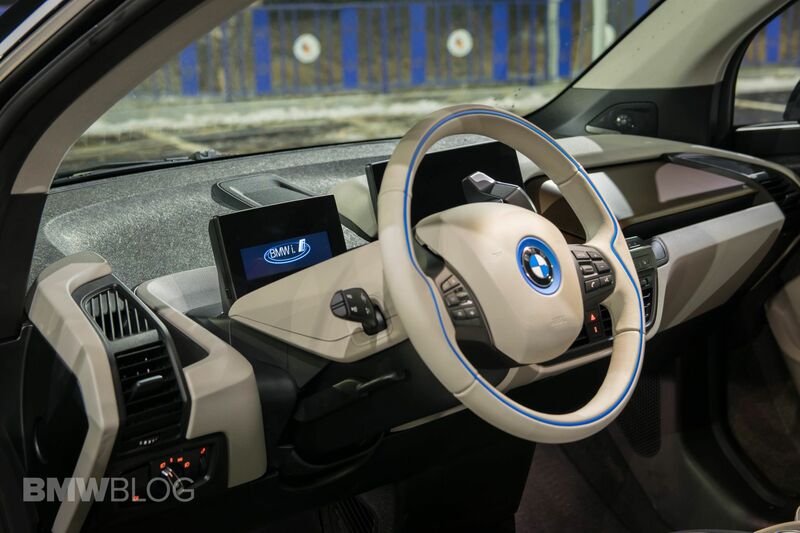 With such ideal figures, the i3 should do up to 300 kilometers (186 miles) with one charge, according to the WLTP testing cycle, but real-life is often quite different than what tests say. During my time with the car I saw the range varying quite a lot, depending on the weather and driving conditions. On the first day, I managed to cover just 184 kilometers (114 miles) with one charge which was a bit disappointing. This should read thought as a ‘worst case scenario’ since the area where I was driving was hit by a horrendous icy storm, with sub-zero temperatures, and a freezing rain that simply wouldn’t stop. The car was wearing snow tires and I had to drive through some serious slush all the time. Snow and ice made it quite an interesting experience and, even though I did drive in Eco Pro mode the whole day, I still had to use the heater to make sure I don’t get frostbites. That said, all the auxiliary systems were used throughout the day, from the heater to the windshield wipers, rear window heater, headlights, and so on. That’s why I doubt that anyone could get a worse result on a full charge and why I think the 184-kilometer range should be considered a baseline reading, a worst-case scenario. As I got more acquainted with the car, the weather started to come around and a couple of days later, we had warm, positive temperatures, no more slush and an overall better experience. Over the next days the range reflected that quite obviously, as I saw an average of 230 kilometers (143 miles) for each battery charge, even though I didn’t use Eco Pro mode anymore but rather switched to Comfort mode. The heater still worked, as the temperatures didn’t rise by that much (were in the 3-5 Celsius range) but I didn’t have to use any other auxiliaries. The improvement was dramatic and, given a different climate, I think the claimed 260-kilometer range of BMW should be quite easily achieved. As for the charging part, that’s the trickiest bit in the EV world right now. The standard charging cable is designed to be plugged into a conventional household socket. If that’s the case, the battery can be charged to up to 80 percent of its full power in approximately 15 hours with a charging capacity of 2.4 kW. The Bavarians also offer a BMW i Wallbox to those interested, which enables rapid three-phase charging with a capacity of 11 kW. In this case, the time required to achieve an 80 percent charge of the large-capacity high-voltage battery is claimed to be 3.2 hours. 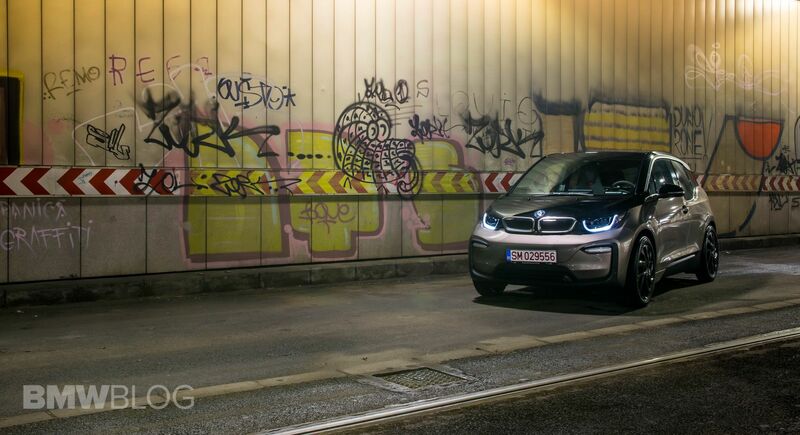 The power electronics and high-voltage battery in the BMW i3 and i3s can also be used in conjunction with quick-charging stations that run on DC power, which are the fastest you can use today. If that’s the case, the charging capacity is 50 kW and the high-voltage battery reaches 80 percent of its total power in just 42 minutes. 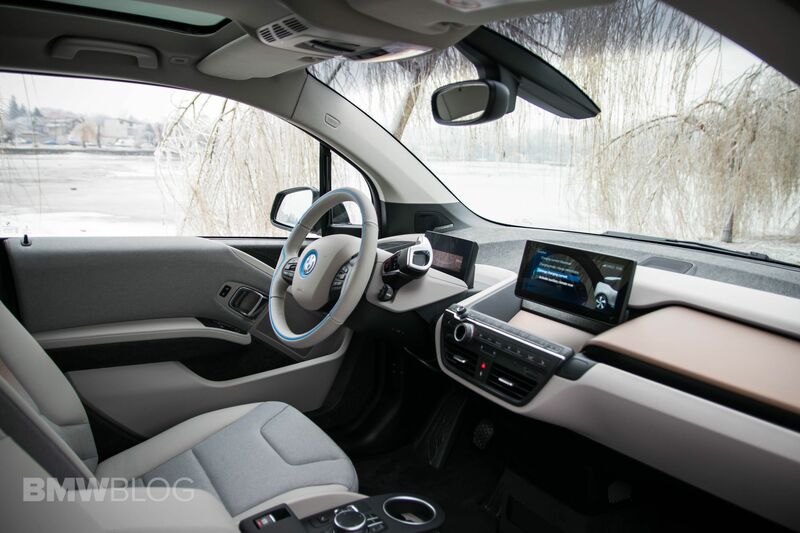 However, I should mention that this European i3 didn’t come equipped with quick charging capabilities as standard, but only if you purchase the Premium Package which includes it. And yes, the figures claimed by BMW do match what I noticed in real life. Charging the i3 at a 50kW station is quite impressive, as I managed to get some extra 50 kilometers of range with a simple 10-minute charge. Most of the time though, I used a Type 2 charger with a capacity of 11kW which allowed me to fully charge the car in about 4 and a half hours. Using a household socket would only work if you left the car to charge overnight. The best bit of news though is that BMW is applying the same recipe it has been following for decades when it comes to electric vehicles as well. They started off with a car that is now being refined over successive generations, with small tweaks that ultimately will lead to a great product. The fact that the i3 was upgraded significantly three times over the last 5 years shows just how the Germans want to go about this whole EV thing and I think it’s the best way to move forward, in search of the perfect blend of performance, battery size and range. The fact that the i3 was upgraded significantly three times over the last 5 years shows just how the Germans want to go about this whole EV thing and I think it’s the best way to move forward, in search of the perfect blend of performance, battery size and range.